Leading technology organisation since 1985, Seagull Scientific is world-renown for introducing the iconic BarTender professional barcode software into the market. 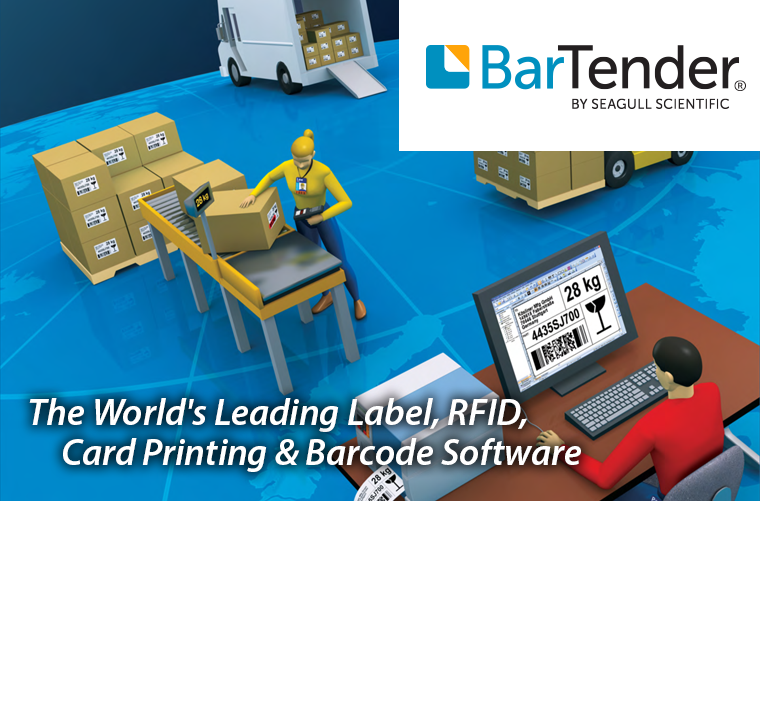 Used in some of the world’s largest companies, Bar Tender leads the way in design and print software for labels, barcodes, cards and RFID tags. Seagull Scientific consistently undertake research to ensure the software fulfils industry requirements and trends. It is the perfect solution for almost any on-demand printing or marking application, including: labels, print and apply, direct marking on parts and packaging, encoding smart cards, sign production, and much more.